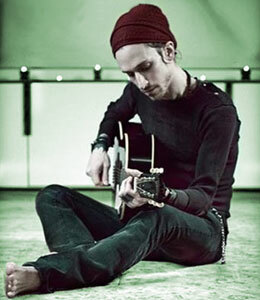 Jimmy Gnecco Biography, Discography, Music News on 100 XR - The Net's #1 Rock Station!!! James Francis Gnecco was born in Teaneck, New Jersey USA, on September 30, 1973. He stayed fairly local, growing up in Ridgefield Park and was partly raised on Soul music. For many years sports, not music, was the focus of his efforts, Gnecco began practicing gymnastics at the age of four and later engaged in racing BMX bicycles, but by 15, his legs hurt every day and he felt completely burnt out. 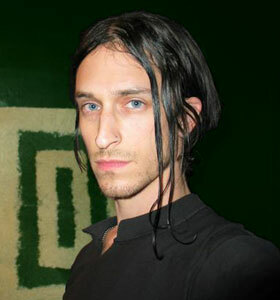 It was with shape-shifting Alternative-Rock band Ours that Jimmy Gnecco first made a name for himself. In 1997 he signed with DreamWorks Records and four years later released the band's debut album, "Distorted Lullabies". 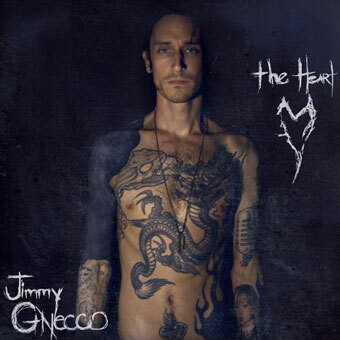 After three albums fronting Ours, Jimmy Gnecco made the most personal and affecting album of his career, "The Heart". In addition to self-producing the record, Gnecco performed every instrument heard on the album: guitar, bass, keyboards, drums and others, fused with his melancholic vocal styling. Bright Antenna put out "The Heart" in July 2010; the disc, which contained the single "Bring You Home", debuted at #20 on the Billboard's Top Heatseekers chart.